This was a very traumatising episode. -That Previously certainly went far back to prove a point. -Arya has left Game of Thrones and now stars in Six Feet Under. -I don’t like the girl who is copying Arya’s hairstyle. -Now I feel bad about her. -Okay, I changed my mind again. Ugh. I don’t know. 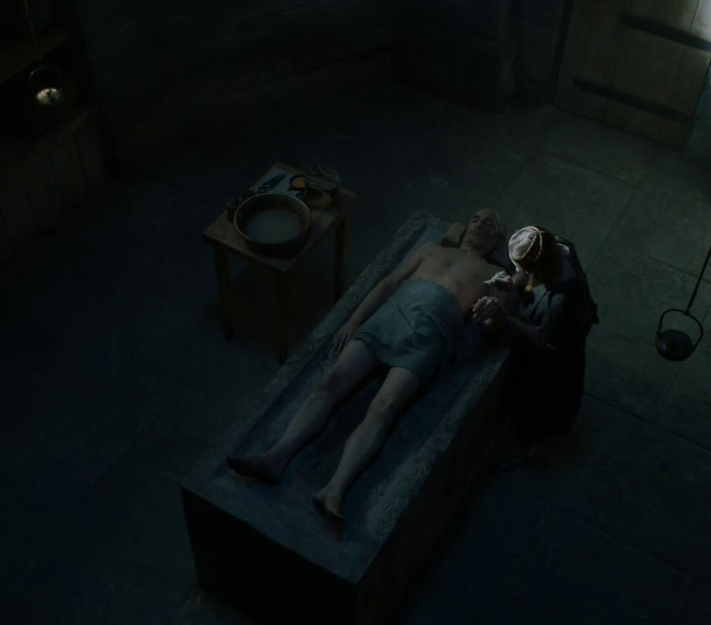 -Now I get the point of that Previously with Mormont. -What a way to find out about you father’s death. -Don’t tell him how he died. Don’t. Don’t. -Well, at least he didn’t specify. Skull wine cup and all that. -This House of Black and White keeps confusing me. -Why is everyone lying all the time? -Everything just became even more confusing. And creepy. 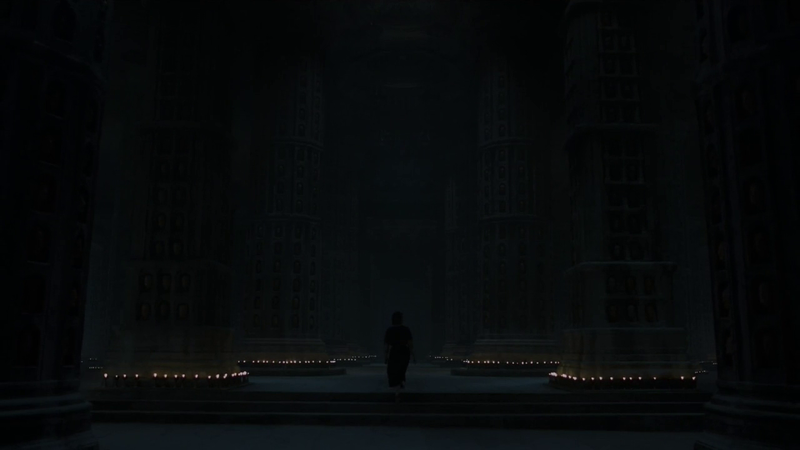 -This reminds me of that scene from Order of the Phoenix at the Ministry of Magic. But with faces. -“Doesn’t mean she is going to be a great queen.” You say it, Tyrion. -Actually, everything Tyrion is saying is sooo right. -If Jorah is 60 years old, I’m taller than Heidi Klum. -Just Googled it. He’s 53. Well done, Mr Glen. Must be those Scottish genes. -During the Google search I’ve found THIS PHOTO. Someone please tell me where this is from. -“One’s choice of companion is a curious thing.” Muahahahaha. -Petyr. What. Are. You. Doing. -I don’t want to jump into conclusions, but this is the guy who got Ned arrested and eventually killed. -Guardian of the North. Nope. -Trystane and Myrcella. I already love this teen couple. So Romeo and Juliet. -Jerome Flynn, ladies and gentlemen, reminding us all that he used to be a pop star. -It feels as if the Sand Snakes are going to kill someone. -Jaime’s look of disapproval when he meets his daughter’s boyfriend. Priceless. -The whip is making me nervous, and at the same time, it’s so cool. 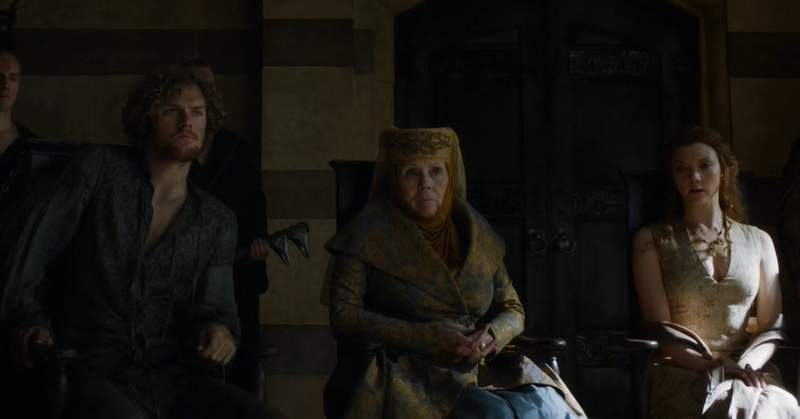 -“And the famous tart, queen Cersei.” Dame Diana Rigg came back. 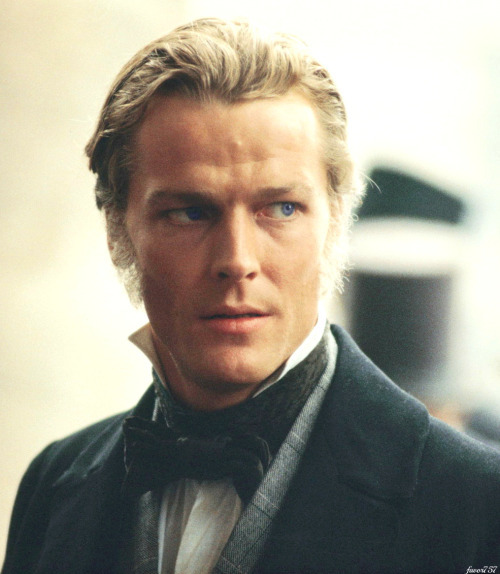 -Loras with a beard. They don’t have razors in prison. -Oh, Loras. You are screwed. -I officially don’t like Myranda –obvious. She is way too creepy. Weirdest bath talk ever. -Good one, Sansa! Let her burn. -Look at Theon, all dressed up for the wedding. He almost looks like a person again. -Tell her about her brothers, Theon. Tell heeeeeeer. 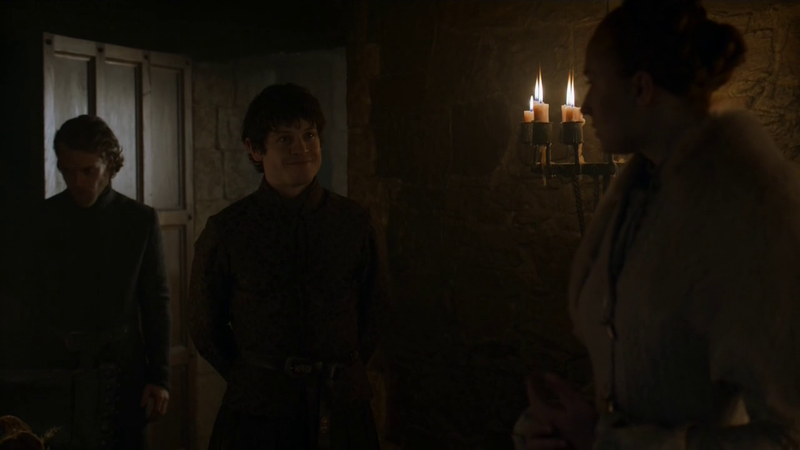 -Sansa, this would be the moment to kill Ramsay. -Or Theon could kill him. Ramsay wouldn’t see it coming. -“You watch.”??? Really??? Someone do something. Sansa, stab him. You have a dagger in your pocket, right? -Okay, Theon, it’s up to you. Kill Ramsay. Do. Something. -I’m so depressed right now. I have heard such awful things about this episode that I’m debating just giving up on the show. Is it worth it to watch even though its painful? Apparently the movie that photo is from is Mountains of the Moon, made in 1990. Haven’t seen it but Peter Vaughan (Master Aemon) is in it too.